When asked what the past few months since the death of her husband, Detective Sean Suiter, have been like, Nicole Suiter was succinct. Nicole does not believe her husband took his own life, an action that would have abandoned her and their five children. “I knew my husband very well. He wasn’t a coward. He wouldn’t have went out like that." Nicole Suiter said when speaking with WMAR 2 News' Brian Keubler. "He wouldn't leave his family like this. He had no reason to." Sean was given a hero's ceremony at his funeral after being killed in November of 2017 in what, at the time, was believed to have been a shooting in the line of duty. 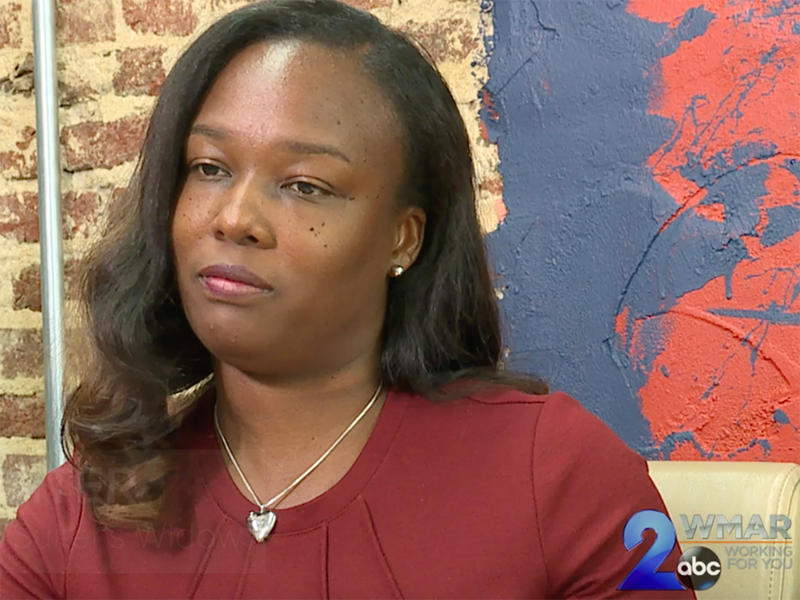 The medical examiner ruled her husband's death a homicide, but the Independent Review Board tasked with looking into his death came to a different conclusion, believing Detective Suiter died of a self-inflicted gunshot wound . 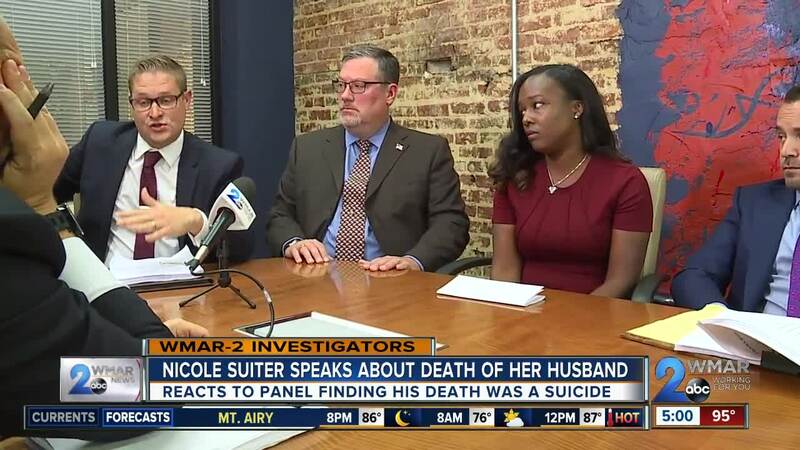 "What bothers me about this entire report is that they’re attacking a man who served our country in Iraq, fought a war for us, and then came home and became a police officer after he served," said one of Nicole Suiter's attorney's Duane Stone. "This is a man of service. This is a man of honor. This isn’t a man that gives up their life easily for a ludicrous reason based on this report." The chairs of the IRB stood behind that conclusion at a press conference Wednesday. Baltimore Police Interim Commissioner Gary Tuggle said investigators will review the IRB's findings, but the case remains open and any change in cause of death would need to be determined by the medical examiner. “I’m just shocked at what is contained in this report, "said Paul Siegrist, another of Nicole Suiter's attorneys. "Multiple facts are left out of this report. They give undue weight to certain facts and totally ignore everything else. They don’t interview witnesses. They somehow arrive to Sean’s state of mind without speaking to his wife. This is garbage." "What the community does not know is I had spoken with my husband less than an hour prior to his murder," Nicole read in a statement. "Sean was in a great mood and happy spirit. We briefly joked about a video of him dancing that I." Nicole said the IRB's report is full of lies and inconsistencies. The report makes connections between Sean's involvement in the Gun Trace Task Force investigations of the previous year, and how that would create a plausible case for suicide. The report said Sean was a "subject" of the federal investigations into the rogue unit, an ambiguous designation somewhere between a witness in the investigation and a target. Sean was scheduled to testify the day after he was killed . He had limited immunity in the federal investigation. “Not only did the Federal Bureau of Investigation and the U.S. Attorney’s Office say that Sean was never a suspect but was only a witness, but the second round of indictments that came out involving Wayne Jenkins and several other officers , showed that Sean was an unwitting part of their larger drug conspiracy and their planting of drugs," said Jeremy Eldridge, Sean Suiter's attorney. Both he and Nicole say they have documentation in the form of letters from the U.S Attorney that clear Sean's name, as well as numerous public statements made by investigators and prosecutors. Besides potentially smearing his reputation, if the medical examiner were to change the cause of death in Suiter's case, the family may lose access to benefits. The family currently receives Sean's pension and would be inline for additional funds from the police department and the Department of Justice if his death remains a line of duty killing. Nicole said the IRB's determinations have inflicted even more pain. She said she will fight any attempt to change the ruling of her husband's death from a homicide to a suicide. She said her family feels cheated by the review board. She believes her husband's killer is still out there. “I can’t heal until I get the truth," she said.